Republican People’s Party, or CHP, leader Deniz Baykal supported his party’s Kocaeli mayoral candidate, Sefa Sirmen’s, pledge to "build Koran schools in every district," yesterday before a top-level party meeting. "The Kocaeli municipality developed the project to meet the people’s demand, just like opening up a computer or a foreign language course," Baykal said, less than two months prior to local elections in March. With coordination with the Religious Affairs Directorate, in accordance with the laws, the Constitution and basic principles of the state, the Koran can be taught to children who are of an appropriate age. "There are courses that evade the directorate’s control. Sometimes we see Koran courses that merely make children memorize the Koran. 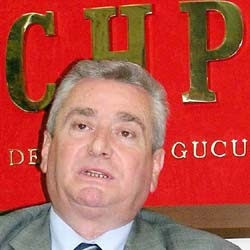 We need to pass beyond this," Baykal said. Sirmen is a well-known personality in Kocaeli, and his Qu'ran declaration is targeted to get out voters in İzmit and elsewhere, many of whom are newly arrived immigrants from the east of Turkey, deeply religious, and quite committed to Turkish-Sunni traditionalism. Baykal's position on Sirmen's remarks takes earlier commitments to expand the role of religion in the public sphere even further. For the story from TDZ, click here. For more on the changing dynamics of CHP in response to upcoming elections, see Jan. 11 post.